In ethology, territory is the sociographical area that an animal of a particular species consistently defends against conspecifics. Animals that defend territories in this way are referred to as territorial. Russian organized crime or Russian mafia, sometimes referred to as Bratva, is a collective of various organized crime elements originating in the former Soviet Union. The acronym OPG is Organized Criminal Group, used to refer to any of the Russian mafia groups, sometimes modified with a specific name, e.g. Orekhovskaya OPG. Sometimes the acronym is translated and OCG is used. The Albanian mafia or Albanian organized crime are the general terms used for criminal organizations based in Albania or composed of ethnic Albanians. Albanian organized crime is active in Europe, North America, South America, and various other parts of the world including the Middle East and Asia. The Albanian Mafia participates in a diverse range of criminal enterprises including trafficking in drugs, arms, humans, and human organs. The Albanian criminal scenario is characterized by diversified criminal plans which, in their complexity, show one of the highest criminal capacities in the world. In Albania alone, there are over 15 mafia families that control organized crime. According to WikiLeaks reports, the Albanian mafia has monopolized various international affiliations from as far east as Israel, to as far west as South America. These reports primarily indicate a strong connection between politicians and various Albanian mafia families. According to the Research Institute for European and American Studies (RIEAS), Albanian mafia groups are hybrid organizations, often involved in both criminal and political activities. Yakuza, also known as gokudō, are members of transnational organized crime syndicates originating in Japan. The Japanese police, and media by request of the police, call them bōryokudan, while the Yakuza call themselves ninkyō dantai. The Western equivalent for the term Yakuza is gangster, meaning an individual involved in a Mafia-like criminal organization. The Yakuza are notorious for their strict codes of conduct, their organized fiefdom nature, and several unconventional ritual practices such as "Yubitsume". Yakuza members are often described as males with heavily tattooed bodies and slicked hair, yet this group is still regarded as being among "the most sophisticated and wealthiest criminal organizations." Old English, or Anglo-Saxon, is the earliest historical form of the English language, spoken in England and southern and eastern Scotland in the early Middle Ages. It was brought to Great Britain by Anglo-Saxon settlers probably in the mid-5th century, and the first Old English literary works date from the mid-7th century. After the Norman conquest of 1066, English was replaced, for a time, as the language of the upper classes by Anglo-Norman, a relative of French. This is regarded as marking the end of the Old English era, as during this period the English language was heavily influenced by Anglo-Norman, developing into a phase known now as Middle English. Banditry is the life and practice of bandits. The New English Dictionary on Historical Principles (NED) defined "bandit" in 1885 as "one who is proscribed or outlawed; hence, a lawless desperate marauder, a brigand: usually applied to members of the organized gangs which infest the mountainous districts of Italy, Sicily, Spain, Greece, Iran, and Turkey". The Damned Crew, or Cursed Crew, was a group of young gentlemen in late 16th and early 17th century London noted for habitually swaggering drunk through the streets, assaulting passers-by and watchmen. The earliest certain reference to such a group appears in a sermon preached by Stephen Gosson at St Paul's Cross on 7 May 1598, when he claimed that a gang of roisterers of that name – “menne without feare, or feeling, eyther of Hell or Heauen, delighting in that title” – had all been drowned together when the boat in which they were sailing down the Thames had been upset near Gravesend. Another, possibly earlier reference, is in the work of the pamphleteer Thomas Nashe, who in 1592 described a vain young man attempting to give himself an air of singularity by wearing his hat pulled low over his eyes “like one of the cursed crue”. Adam the Leper was the leader of a fourteenth-century robber band, operating in the south east of England in the 1330s and 1340s. Like the north Midlands bandits Eustace Folville and James Cotterel, he and his gang specialised in theft, especially directed against the royal court and its agents. Unlike these contemporaries, he seems to have concentrated mainly on urban centres. The best documented of his crimes involved a night-time attack against a London merchant with ties to Philippa of Hainault, Queen consort of Edward III. According to Luke Owen Pike, while the trader was holding a number of the queen's jewels in safekeeping, Adam and his gang laid siege to his house, demanding Philippa's property be surrendered to them. When the man refused, his house was set alight, and the treasure seized by force. This was the most serious loss of royal property through criminal seizure since Richard of Pudlicott's attack on the treasury of Edward I in 1303. The Penny Mobs was the names used by the press to describe the early street gang active in Glasgow, Scotland, during the early 1870s. As the court system offered heavy fines as an alternative to imprisonment, gang members were often freed after a collection from the gang at a "penny a head" thus earning its name. Perhaps one of the most infamous criminal gangs are the Sicilian Cosa Nostra and the Italian-American Mafia. The Neapolitan Camorra, the Calabrian 'Ndrangheta and the Apulian Sacra Corona Unita are similar Italian organized gangs. Understanding the structure of gangs is a critical skill to defining the types of strategies that are most effective with dealing with them, from the at-risk youth to the gang leaders. Not all individuals who display the outward signs of gang membership are actually involved in criminal activities. An individual's age, physical structure, ability to fight, willingness to commit violence, and arrest record are often principal factors in determining where an individual stands in the gang hierarchy; now money derived from criminal activity and ability to provide for the gang also impacts the individual's status within the gang. The structure of gangs varies depending primarily on size, which can range from five or ten to thousands. Many of the larger gangs break up into smaller groups, cliques or sub-sets. The cliques typically bring more territory to a gang as they expand and recruit new members. Most gangs operate informally with leadership falling to whomever takes control; others have distinct leadership and are highly structured, which resembles more or less a business or corporation. Criminal gangs may function both inside and outside of prison, such as the Nuestra Familia, Mexican Mafia, Folk Nation, and the Brazilian  PCC. During the 1970s, prison gangs in Cape Town, South Africa began recruiting street gang members from outside and helped increase associations between prison and street gangs. In the USA, the prison gang the Aryan Brotherhood is involved in organized crime outside of prison. Gang membership represents the phenomenon of a chronic group criminal spin; accordingly, the criminality of members is greater when they belong to the gang than when they are not in the gang—either before or after being in the gang. In addition, when together, the gang criminality as a whole is greater than that of its members when they are alone. The gang operates as a whole greater than its parts and influences the behavior of its members in the direction of greater extend and stronger degree of criminality. Women in gang culture are often in environments where sexual assault is common and considered to be a norm. Women who attend social gatherings and parties with heavy drug and alcohol use are particularly likely to be assaulted. A girl who becomes intoxicated and flirts with men is often seen as "asking for it" and is written off as a "ho" by men and women. "Hoodrats" and girls associated with rival gangs have lower status at these social events, and are victimized when members view them as fair game and other women rationalize assault against them. Most gang members have identifying characteristics which are unique to their specific clique or gang. 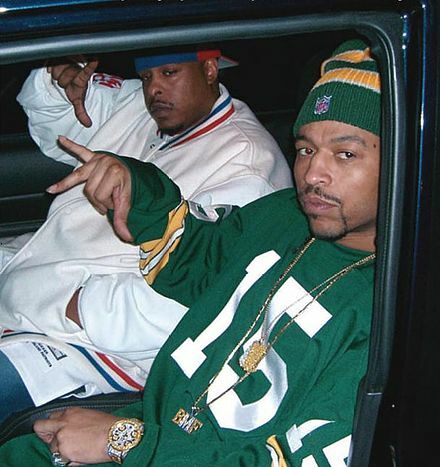 The Bloods, for instance, wear red bandanas, the Crips blue, allowing these gangs to "represent" their affiliation. Any disrespect of a gang member's color by an unaffiliated individual is regarded as grounds for violent retaliation, often by multiple members of the offended gang. Tattoos are also common identifiers,  such as an '18' above the eyebrow to identify a member of the 18th Street gang. Tattoos help a gang member gain respect within their group, and mark them as members for life. They can be burned on as well as inked. Some gangs make use of more than one identifier, like the Nortenos, who wear red bandanas and have "14", "XIV", "x4", and "Norte" tattoos. Also, many male gang members wear earrings or other types of body jewelry, or simply have pierced ears to depict gang membership, unlike females, who usually wear jewelry for fashion. A 2006 Sun-Times article reports that gangs encourage members to enter the military to learn urban warfare techniques to teach other gang members. A January 2007 article in the Chicago Sun-Times reported that gang members in the military are involved in the theft and sale of military weapons, ammunition, and equipment, including body armor. 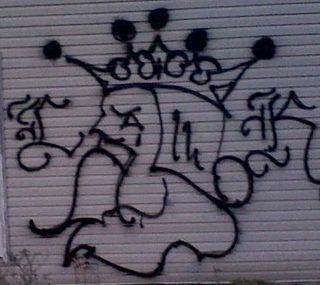 The Sun-Times began investigating the gang activity in the military after receiving photos of gang graffiti showing up in Iraq. The Black Mafia, also known as the Philadelphia Black Mafia (PBM), Black Muslim Mafia and Muslim Mob, was a Philadelphia-based African-American organized crime syndicate. The organization began as a small criminal collective, known for holding up neighborhood craps games and dealing in the illegal drug business, but at its height of operation until about 1975, it managed to consolidate power and control a large portion of criminal activity in various African-American neighborhoods throughout Philadelphia, the Delaware Valley, and South Jersey, including Atlantic City. In addition to drug trafficking, burglary, and armed robbery, the Black Mafia was also engaged in traditional organized crime activities such as extortion, racketeering, prostitution, loansharking, number running and other illegal gambling rackets. A prison gang is an inmate organization that operates within a prison system. It has a corporate entity and exists into perpetuity. Its membership is restrictive, mutually exclusive, and often requires a lifetime commitment. Prison officials and others in law enforcement use the euphemism "security threat group". The purpose of this name is to remove any recognition or publicity that the term "gang" would connote when referring to people who have an interest in undermining the system. The United Bamboo Gang is the largest of Taiwan's three main criminal Triads. They are reported to have roughly 10,000 members. The membership consists largely of waishengren and has had historic ties to the Kuomintang; they are said to be motivated as much by political ideology as by profit. They are known to simply call themselves "businessmen", but in reality, are also involved in organized killings and drug trafficking. The gang gained global notoriety when it became directly involved in politics in the early 1980s. The union does not view themselves as criminals, but instead they view themselves as patriots. Gangs in the United States include several types of groups, including national street gangs, local street gangs, prison gangs, motorcycle clubs, and ethnic and organized crime gangs. Approximately 1.4 million people were part of gangs as of 2011, and more than 33,000 gangs were active in the United States. Gangs in Canada are mostly present in the major urban areas of Canada, although their activities are not confined to large cities. 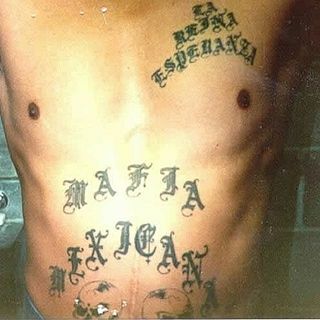 Sureños ‍, Southern United Raza, Sur 13 or Sureños X3 are groups of loosely affiliated gangs that pay tribute to the Mexican Mafia while in U.S. state and federal correctional facilities. Many Sureño gangs have rivalries with one another, and the only time this rivalry is set aside is when they enter the prison system. Thus, fighting is common among different Sureño gangs even though they share the same common identity. 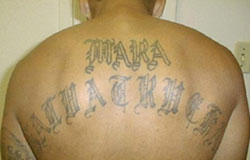 Sureños have emerged as a national gang in the United States. Reports on the number of people involved in criminal gangs, by locale. Armenian Power 13, also known as AP, the Armenian Mob, or Armenian Mafia is an Armenian criminal organization and street gang located in Los Angeles County, California. They are involved in drug trafficking, murder, assault, fraud, identity theft, illegal gambling, kidnapping, racketeering, robbery and extortion. They are believed to have over 200 documented members and hundreds of associates, according to the U.S. attorney’s office. Crime in Germany is combated by the German Police and other agencies. In the United States, the War on Gangs is a national movement to reduce gang-related activity, gang violence, and gang drug involvement on the local, state, and federal level. The War on Gangs is a multi-lateral approach, as federal agencies seek to disrupt the cycle of violence through intervention with state police and social workers. The Brooklyn Camorra or New York Camorra is a loose grouping of early-20th-century organized crime groups that formed among Italian immigrants originating in Naples and the surrounding Campania region living in Greater New York, particularly in Brooklyn. In the early 20th century, the criminal underworld of New York City consisted largely of Italian Harlem-based Sicilians and groups of Neapolitans from Brooklyn, sometimes referred to as the Brooklyn Camorra, as Neapolitan organized crime is referred to as the Camorra. The penose is the organized criminal underbelly in Amsterdam and other major cities in the Netherlands. Penose usually means the organisations formed by criminals of Dutch descent. It is a slang word coming from the old Amsterdam Bargoens language. ↑ "Hi, gang! (used with friends)". wordreference.com. ↑ Caspar Walsh (10 November 2011). "Gangs are good for society". theguardian.com. 1 2 3 4 "FBI — 2011 National Gang Threat Assessment – Emerging Trends. Fbi.gov. ↑ "COPS Office: Gangs". Cops.usdoj.gov. Archived from the original on 2009-04-29. Retrieved 2014-06-18. 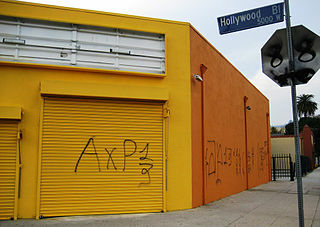 ↑ L.A. Gangs: Nine Miles and Spreading Archived 2008-04-16 at the Wayback Machine . Laweekly.com. December 13, 2007. ↑ Egley, Arlen Jr. (November 2000). "Highlights of the 1999 National Youth Gang Survey" (PDF). U.S. Department of Justice . Retrieved April 1, 2015. ↑ "Italian Organized Crime—Overview" Archived October 7, 2010, at the Wayback Machine . FBI.gov. ↑ Criminal Investigation: Fight Against Organized Crime (1) [ permanent dead link ], Overview of Japanese Police, National Police Agency (June 2007). ↑ "Introduction to the Mafia". source. Archived from the original on 2016-01-02. ↑ "ORGANISED CRIME AROUND THE WORLD" (PDF). source. Archived from the original (PDF) on 2013-10-16. ↑ "Street Gang Dynamics". The Nawojczyk Group, Inc. Archived from the original on 2014-08-18. ↑ Matthew O'Deane. "gang". Gangs: Theory, Practice and Research. Archived from the original on 2016-03-05. ↑ "Societal and Correctional Context of Prison Gangs" (PDF). source. Archived from the original (PDF) on 2011-10-15. ↑ O'Deane, Matthew (2012). Gang Injunctions and Abatement: Using Civil Remedies to Curb Gang-Related Crimes. Boca Raton, FL: CRC Press. ISBN 9781466554108. ↑ Matthew O'Deane. Gang Investigator's Handbook: A Law-Enforcement Guide to Identifying and Combating Violent Street Gangs. ↑ "Membership Validation Criteria". 15 May 2014. ↑ Wood, Graeme. "How Gangs Took Over Prisons". ↑ "Roseville police explain gang validation process". ↑ "Organized_crime". source. Archived from the original on 2016-12-30. ↑ "Gang influence and gain revenue" (PDF). source. Archived from the original (PDF) on 2014-05-24. ↑ "ICE and Local Law Enforcement Target Immigrant Gangs". source. ↑ "U.S. Gangs: Their Changing History" (PDF). data. Archived from the original (PDF) on 2013-07-24. ↑ "Violence and Street Gangs". ↑ "Frequently Asked Questions About Gangs". National Gang Center. ↑ Ng, Christina (9 June 2011). "Latino Gang Charged With Racial Cleansing Attacks in California Town". ABC News . Retrieved 7 May 2012. ↑ Shaer, Matthew (September 2, 2014) "Epstein Orthodox Hit Squad", GQ. Retrieved February 19, 2019. ↑ "Gang Awareness". Everett Police Department. Archived from the original on 2015-04-23. ↑ "Gang Identifiers". Winston-Salem Police Department web site "TGOD Mofo" is a common statement being passed around the hood. ↑ "Graffiti and Other Gang Identifiers". © 2002 Michael K. Carlie. ↑ "Noose: 'Shameful' sign makes ominous return Archived July 17, 2008, at the Wayback Machine ", by Darryl Fears, Washington Post, Published: October 21, 2007 6:00 a.m.